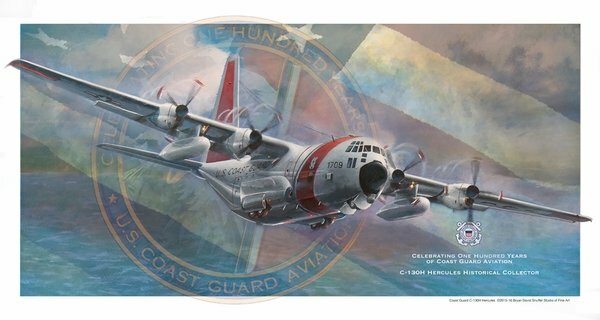 If you want to obtain your slice of history then this Hercules Collector print for the 100 Years of Coast Guard Aviation is for you. A limited edition 16x30" of only 100 giclee' prints. Each is signed by the artist. Shipped in a tube. Click on the image above for a larger representation.